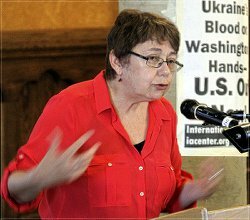 Meeting at Riverside Church on May 10, anti-war activists from the New York metropolitan area gave a kick-start to three weeks of activities in solidarity with the anti-fascist movement in Eastern Ukraine and opposing new U.S.-NATO ­aggression against Russia. 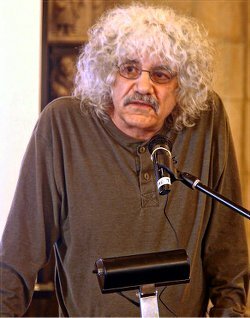 Former WBAI Program Director Bernard White introduced the organizers’ goal: to infuse the anti-war movement with the facts and arguments about Ukraine that counter the ocean of lies in the corporate media. Organizers will reach out with this knowledge to ever-broader sectors of the population. White is now with Community Progressive Radio (cprmetro.org). Most of the room’s 140 seats were occupied. 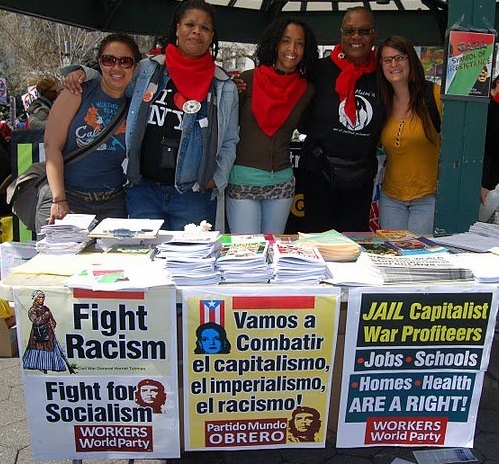 The International Action Center call mobilized a broad section of veteran and newer anti-imperialist and anti-racist activists who know how to reach out with the truth — and with the movement’s call for actions from May 9 to May 26. The day’s many speakers honed their comments to tight time frames, offering a condensed dose of information and analysis, all recorded by CPR Metro and videotaped by five videographers for use around the world. 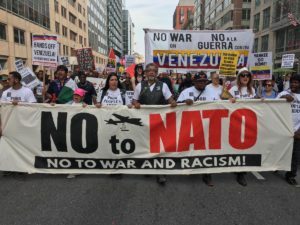 Judging from the enthusiastic reaction, this group of activists — and others around the country — will be organizing, leafleting and using social media to motivate more and more of an already anti-war population into active resistance. The main lesson: The people must oppose the U.S. and EU, which have imposed a pro-austerity, neoliberal regime on Ukraine that depends on fascist gangs to stay in power. The IAC’s Sara Flounders; Joe Lombardo, of the United National Antiwar Coalition; IAC co-chair LeiLani Dowell; and others urged anti-war action in the streets. As Lombardo said, “Demonstrations are even better than meetings” for outreach to the people. 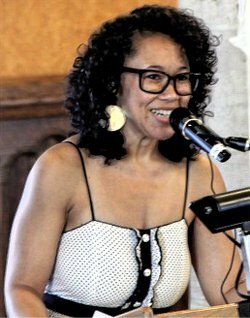 There were anger-raising descriptions of murderous fascist attacks on progressive activists in Odessa, described by Workers World contributing editor Greg Butterfield, and in Mariupol, described by Bill Dores, of the International League of People’s Struggle. But this was balanced by the recognition, as Flounders said, that “the uprising in Ukraine’s East is the first armed resistance to austerity,” which the EU and U.S. banks are imposing throughout Europe on the working class. Ukraine’s workers are setting an example for Europe. Dustin Ponder, of the Freedom Road Socialist Organization, detailed what International Monetary Fund — and EU-imposed cutbacks would mean for Ukraine’s workers. Glenn Ford, of Black Agenda Report, characterized U.S. intervention in Ukraine as another setback for U.S. imperialism. President Barack “Obama’s attempt to destabilize Russia … is a symptom of desperation … and will weaken the grip of U.S. imperialism on the world” just as George W. Bush’s invasion of Iraq in 2003 did, Ford asserted. 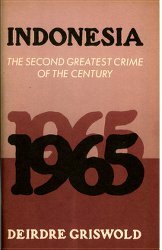 Former CIA analyst Ray McGovern, now an anti-war activist, gave historical background. He described the agreement between USSR President Mikhail Gorbachev and U.S. Secretary of State James Baker in 1990, when the USSR withdrew 300,000 troops from the German Democratic Republic. There was a handshake that NATO would not move an inch eastward. Instead NATO has moved to Russia’s borders. However, the Russian government drew a red line in 2008 when it said it would refuse to accept NATO in Georgia and Ukraine, and according to McGovern, the Russians mean it. 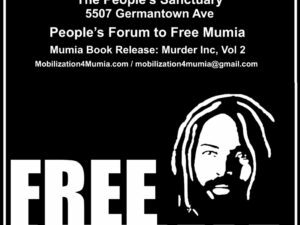 Larry Holmes, of the Peoples Power Assembly, contributed a unifying concept. Through the class struggle he linked the upcoming and unprecedented worldwide day of action by low-wage workers — May 15 — with the anti-war movement. Holmes noted that about half of the 50 McDonald’s operating in the Ukraine were now closed — those in the East. The majority of those still open are in the capital, Kiev, where the coup government holds power. 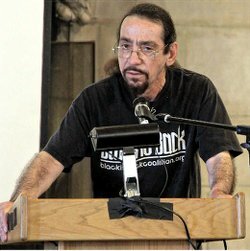 The anti-imperialist analysis wasn’t limited to Ukraine, but included exposure of U.S. imperialism’s intervention against Venezuela, with comments from William Camacaro, of the Alberto Lovera Bolivarian Circle; against the people of the Philippines by Bernadette Ellorin, of BAYAN USA; and against the Syrian people by Avin Dirki, of the Syrian American Forum. Former U.S. Attorney General Ramsey Clark sent a message of solidarity. The organizers showed a PowerPoint slideshow with background on Ukraine, which is available at no2nato.org. In New York, the demonstration will be on Memorial Day, May 26, at 1 p.m. in Times Square. For more information about other demonstrations, see iacenter.org or unacpeace.org.